Mix Note Counting Machine. It will Sort Note, Calculate Value of each denomination and total value of notes. It takes care of all New Indian Currency. Software is Upgradeable. Suitable for Indian Currency. 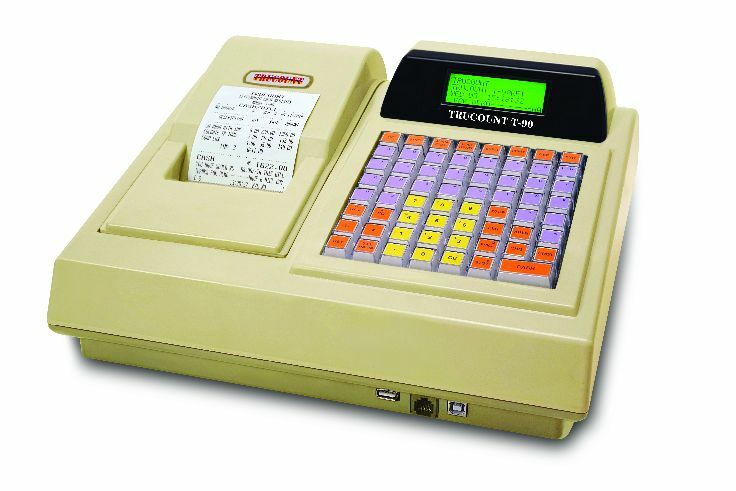 RETAIL POS BILLING SOLUTION from Nukkad Shops. Software packed in Smart Modern Touch Screen Based Android Hardware. MODEL: ELITE. Specially designed for Departmental Store, Grocery Store, Supermarket, Hypermarket, Bakery, Sweet Shops, QSR, Restaurant etc. Android Cloud Connected POS System. Smart, Affordable & Easy to use Solution. Marketed by ASTHA MERCANTILE, Kolkata. Model: T90/ D90 Brand: TRUCOUNT. 3" THERMAL/ DOT MATRIX PRINTER. 10000 Item Capacity. 58 HOT ITEM BUTTON. GST READY. PEN DRIVE PORT / PC COMMUNICATION PORT/ SCANNER PORT/ CASH DRAWER PORT available. Model: ZIP 50 Brand: TRUCOUNT- Easy to operate. Retail & Restaurant Application available. 3" Thermal Printer with 72 HOT ITEM button. Pen drive port, Cash Drawer port, Barcode Scanner USB Port available. It can do billing maintain stock and can generate various management Reports. PC communication available. GST READY.